If you have a larger family or are visiting London with some friends you may want to find 3 bedroom apartments in Central London for the duration of your stay. It doesn’t matter whether you are here on business or on holiday, finding the right apartment in Central London is crucial to your enjoyment. How central do you need to be? Carlton Court is about as central in London as you can get, in the heart of Mayfair and only a few minutes’ walk from Piccadilly, Oxford Street, Regent Street, and Knightsbridge, so all of the best shops London has to offer are on your doorstep. It is only a stone’s throw from Hyde Park where you can laze in the sun or have a picnic, or just go out for your morning jog. 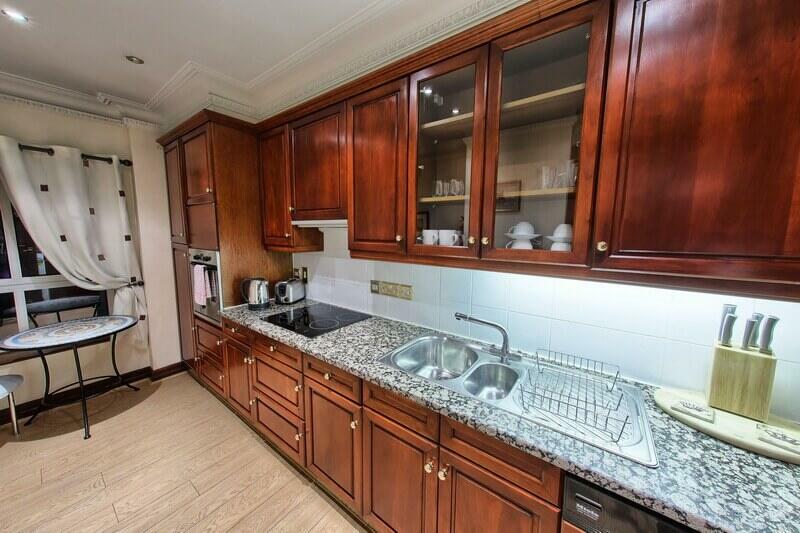 This 3 bedroom apartment is as luxurious as it can get and will accommodate 5/6 people. It is extremely spacious, as opposed to a hotel room, and the interior has been designed to the latest fashion. Comfort and luxury are our bywords here in Carlton Court, and the master bedroom is a joy to behold, complete with its’ en suite bathroom. The second bedroom can be supplied with a double bed or twin beds as required, and the third bedroom contains a double bed. There is a second separate bathroom and also a separate wc. You have the benefit of a spacious lounge which is which is approximately 20 feet by 15 feet, so plenty of room for six people to relax in comfort, and a fully fitted kitchen with washing machine, dryer, and dishwasher. All rooms have the very latest Sky HDTV’s with all the Sky channels and also around 2,000 satellite channels broadcasting in a variety of different languages including Russian, Hindi, Arabic, English, and French. Carlton Court has a 24 hour security system and 7 days a week housekeeping/linen changing. The staff are multi-lingual and are dedicated to ensuring that your stay in London will provide the finest experience you could possibly have, at far less cost than staying in a hotel.